I remembered the old joke from ABC 5's (now TV5) gag show "Tropang Trumpo" in the Battle of the Brainless segment. Pinoy kids of the 90s knew what I'm talking about. Host: Sino pumatay kay Magellan? Ang initials niya ay LL. Host: Engk! Mali. Clue, inuulit ang pangalan niya. Contestant: Lito Lito Lapid Lapid? Host: Maikli lang ang pangalan niya na parang nickname. Contestant: Lot Lot and friends? 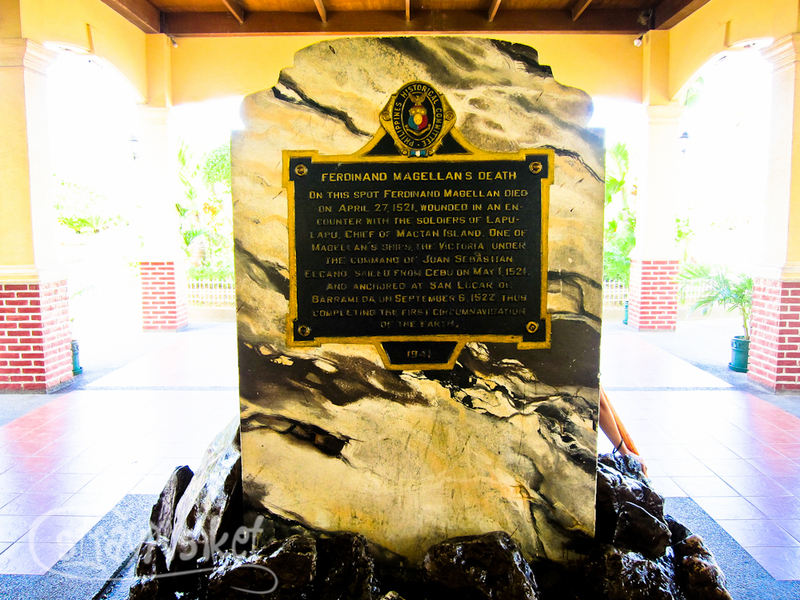 Who really killed Magellan? Nobody knows. Maybe one of Lotlot's friends. 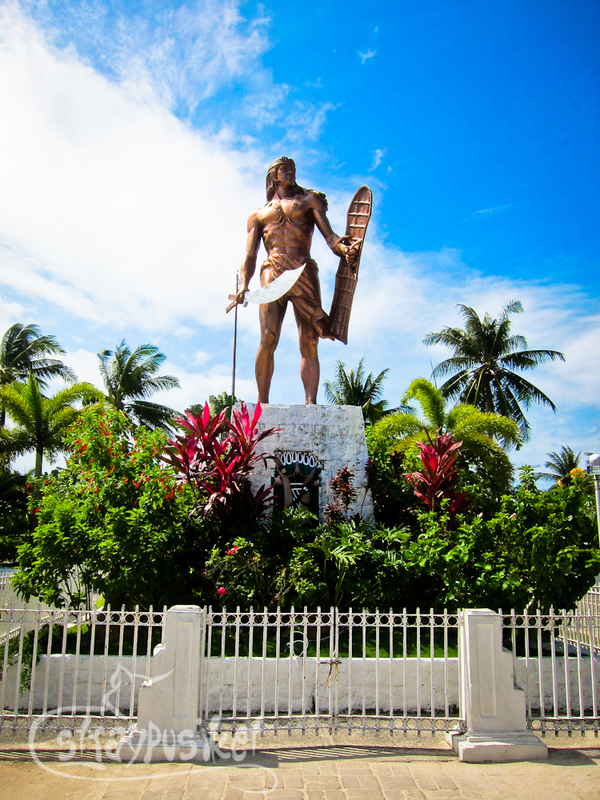 From our hotel, the tour van picked us up and we headed straight to Lapu Lapu City in Mactan Island. We went to exactly the same place we've been the night before for our STK dinner. The Mactan Shrine (or Lapu Lapu shrine) serves as a memorial of the battle of Mactan which occurred in April 1521. 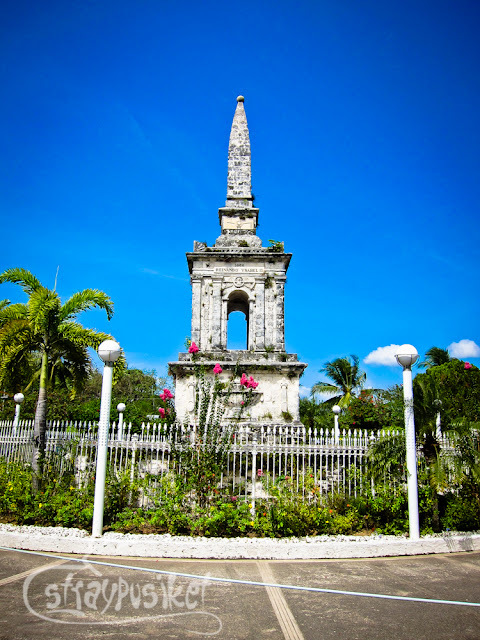 Found at the center of the park is an obelisk erected in 1886 in honor of Ferdinand Magellan. 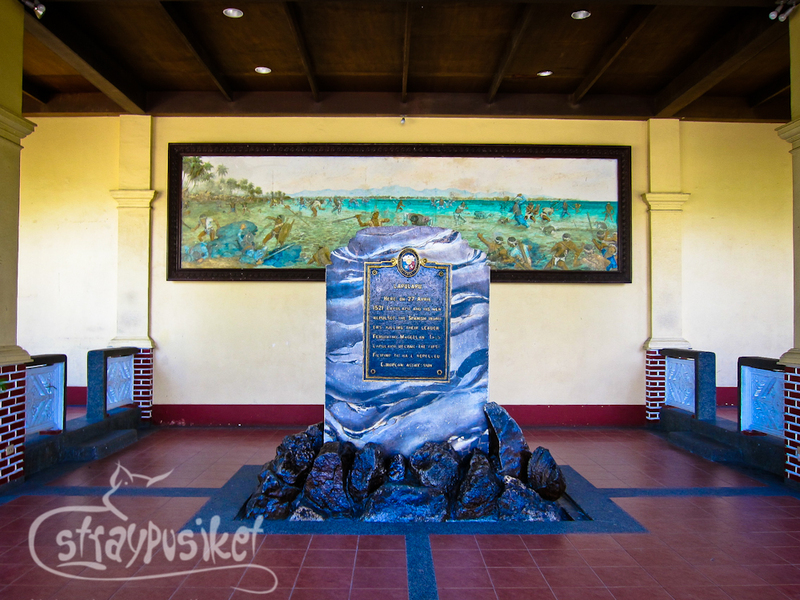 Written on marker is the event that occurred in 1521 where Lapu Lapu and his men killed Magellan during the battle of Mactan. While at the back, it speaks of Magellan's death. Here is where the battle took place. 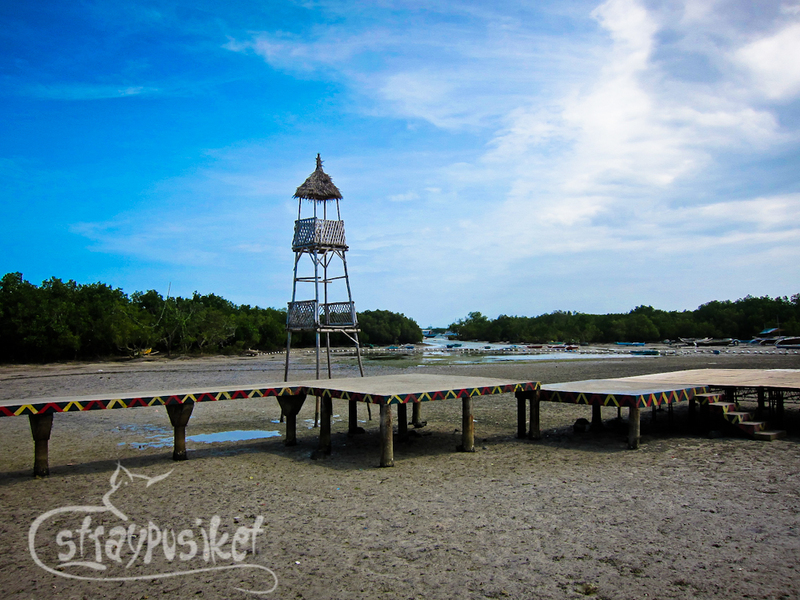 As you can see, the tide is super low when we were there so you can walk up to the mangroves without getting your feet wet. They stage a show in this area every April to commemorate the battle. We also saw a lot of fiddler crabs poking out of their holes. 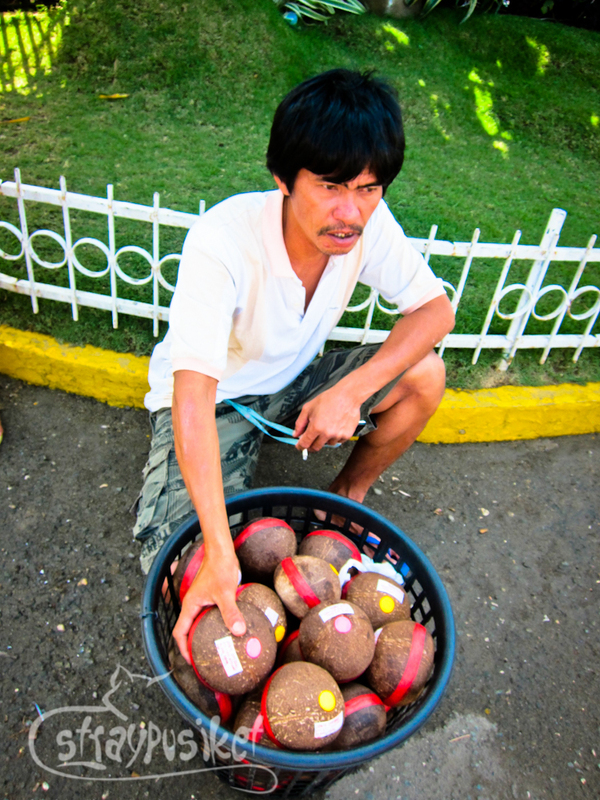 What I enjoyed the most during our visit to Mactan Shrine are the shops on the side which sell very cheap accessories. 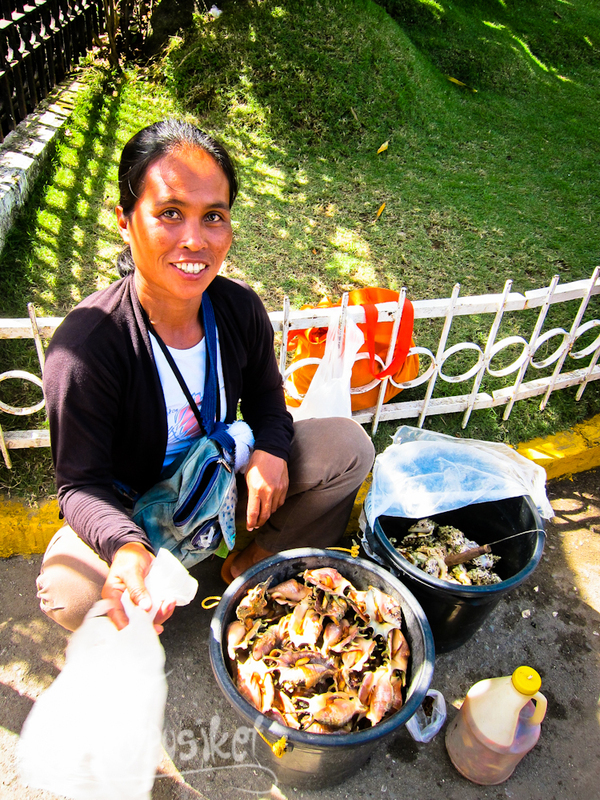 I remember spending only around 500 pesos and got myself a bag full of necklaces and bracelets. I actually shopped the night before from the shops outside the park. There are also vendors that sell some native delicacies like Saang and kalamay.